Soil erosion and the resulting sedimentation are a leading cause of water quality problems in Ohio. Every phase of a construction project has the potential of contributing significant quantities of sediment-laden runoff into local streams, creeks, and waterways. Therefore, as a site is developed, all who are associated with the project must do their part to control erosion. Individual lots are no exception. Why the concern About Erosion and Sediment Control? · Water quality-Sediment is the number one pollutant, by volume, of surface waters in the State of Ohio. It impacts water quality by degrading the habitat of aquatic organisms and fish, by decreasing recreational value, and by promoting the growth of nuisance weeds and algae. · Local Taxes-Cleaning up sediment in streets, sewers and ditches increases costs to local and government budgets and subsequently to taxpayers. · Flooding-Sediment accumulation in ditches, streams, lakes and rivers reduces their capacity, which can result in increased flooding. · Property Values-Sediment deposits not only impair water quality but also damage property thus reducing its use and value. 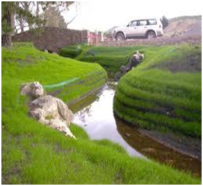 Erosion control is important on any building site regardless of its size. Usually, the principles and methods for controlling erosion and reducing off-site sedimentation are relatively simple and inexpensive. Here are four principles to be followed when developing a building site. 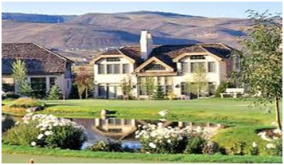 · Evaluate site-Inventory and evaluate the resources on the lot before building. Location of structures should be based, in large part, on the lot’s natural features. Identify trees that you want to save and vegetation that will remain during construction. Also, identify areas where you want to limit construction traffic. Where ever possible, preserve existing vegetation to help control erosion and off-site sedimentation. · Select and install practices- Determine the specific practices needed and install them before clearing the site. Among the more commonly used practices are vegetative filer strips, silt fence, gravel drives, straw bales and storm water inlet protection. · Develop a maintenance program-Maintenance of all practices is essential for them to function properly. They should be inspected once a week and after each rainfall event. When a problem is identified, repair the practice immediately. Also, any sediment that is tracked onto the street should be scraped and deposited in a stable area. Do not flush sediment from the street into the storm sewer system. · Re-vegetate the site-Do as soon as possible. Any area to be left bare for more than 21 days should be seeded immediately to a temporary cover of annual rye grass. Remember, vegetation is the most cost effective erosion control on the market. It is the responsibility of every developer, contractor, property owner, city, village, & township governments to comply with all laws regarding construction site erosion/sediment control. Stark County as well as all MS4 operator’s (Municipal Separate Storm Water Sewer System) follow the Stark County Storm Water Quality. · Talk to your subcontractors and workers-parking on the shoulder and entering a lot from any point other than the construction entrance should be prohibited. · Establish vegetation ASAP-temporary seeding, mulching or straw can save on off site remediation. · Inspect your site and measures at the end of every workday and after each heavy rain event. · Maintain all practices-clean or replace when they are 50% full. · Wash sediment from streets as needed and collect construction debris and garbage daily. · Make repairs to practices immediately. · Remember –these are your future neighbors!